Norwegians love Spain, so much so that many of us have holiday homes to escape the cold Nordic winters. Ryanair, Norwegian Air Shuttle and Scandinavian Airlines run flights to a large number of airports on the Iberian pensinsula. The Catalan capital is a favourite destination for those combining sun, sand and sea with shopping, culture and a hectic night life. 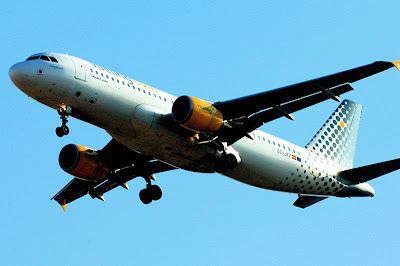 Spanish Vueling will start its first flights from Stavanger, the Norwegian oil capital to Barcelona Thursdays and Sundays June 7th. Flights will run to September 17th. Drawback for travelers is departure time from Stavanger, as takeoff will be 3.55 AM arriving Barcelona 7.00 AM. Return flights will leave Barcelona at 11.00 PM, landing in Stavanger during night. Thursdays June 24th to September 17th. Flights will leave Barcelona 5.40 PM with returning flights from Stavanger 9.35 PM. Air fare will start at NOK 800 per flight (105 EUR / 138 USD).